I recently went to a media event for the grand reopening of what use to be called The General Store and Bakery on Cambie. 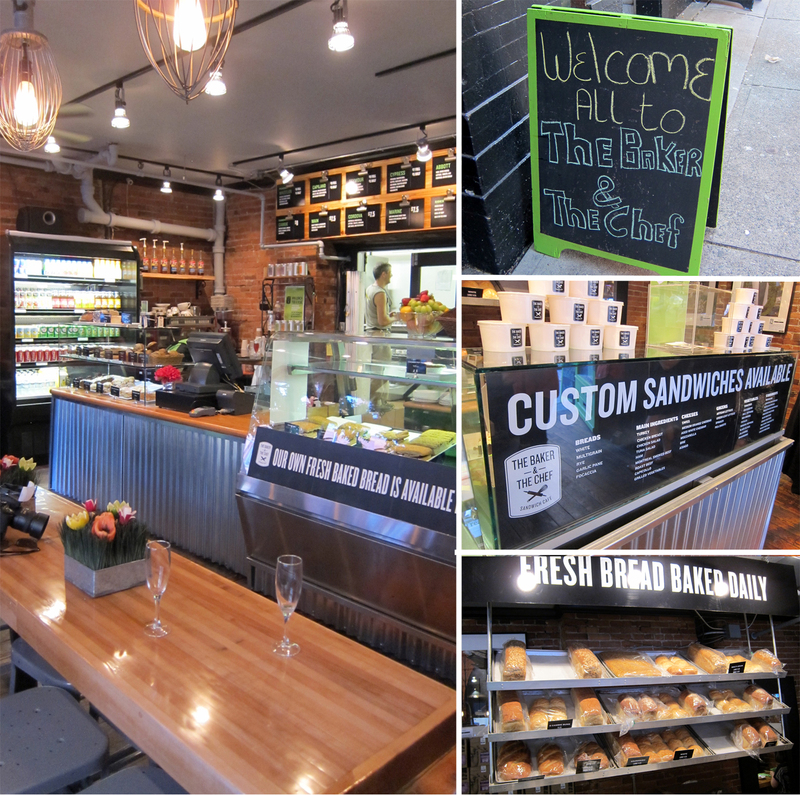 The whole place has been revamped into a modern and cozy sandwich cafe. This cafe is located in a good foot traffic area, so it's perfect for locals or people who want to grab and go. - I preferred the lemonade, a perfect balance between sour and sweet. - The meat was tender and moist. We loved all the sandwiches. - Love the beef onion soup, very rich and beefy with a touch of sweet onion taste. It seems it has been cooked for hours. - Quinoa with parsley and fresh vegetable salad: very light dressing, but too much parsley in my own opinion. - Chocolate cake: cake itself wasn't too sweet, but the frosting as expected was really sweet. The Baker and The Chef is a local style urban cafe with a good variety of sandwiches. If you are in the area, definitely head down there and check out this new hip and urban cafe.